The Java bathroom taps feature a simple easy to use single lever design which is complemented by the ceramic disc cartridges and valves utilised within this range. There are clear yet discreet blue and red indicators for a clear definition between hot and cold ensuring safe use. This bath mixer tap is for baths with two tap holes. 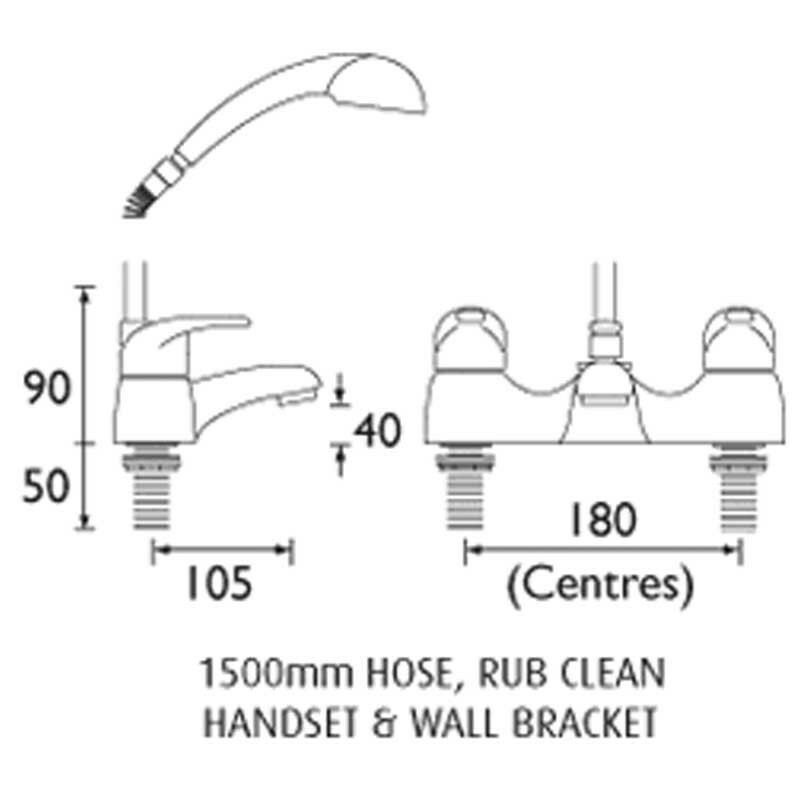 It is supplied complete with a 1.5m shower hose, a rub clean single function shower handset and a wall bracket. 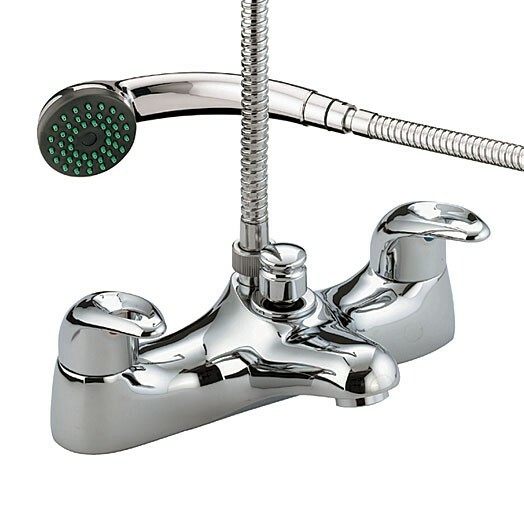 The Java deck mounted bath shower mixer is manufactured in solid brass. It is only available in the chrome finish as shown.